This exclusive lunch was catered by Sean Connolly, with stunning decoration by Peters of Kensington and Mandalay Flowers. We were proud to support this important cause by offering the attendees the chance to win a private bespoke design experience with Matthew Ely. 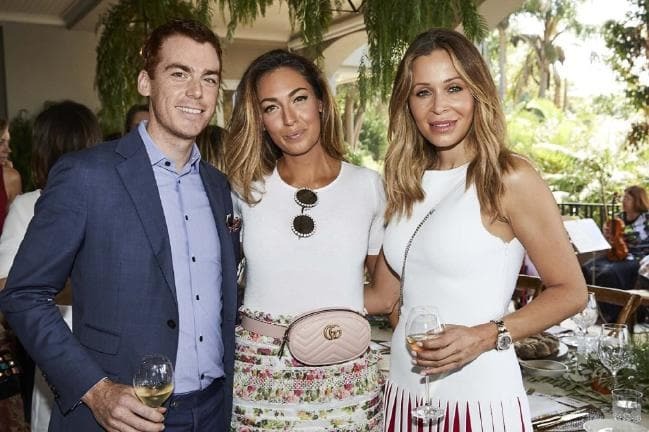 Some of Sydney’s most well known and successful ladies, including Eva Galambos, Camilla Freeman-Topper, Sarah Jane Clarke, Kirsten Carriol and Krissy Marsh were in attendance, showing their support for ReachOut and the amazing work they do for the Australian community. This intimate event was a huge success, with over $72,000 raised in the silent auction. This impressive donation is a testament to the generosity of the attendees and will be put to excellent use, helping to fund ReachOut’s website build and further its expansion as this wonderful organisation continues to assist with aiding young people who are suffering with mental health issues. We’re looking forward to designing a beautiful and unique piece of bespoke jewellery with our lucky winner at our Woollahara boutique! To learn more about this fantastic charity and the wonderful work they do, visit ReachOut’s website.